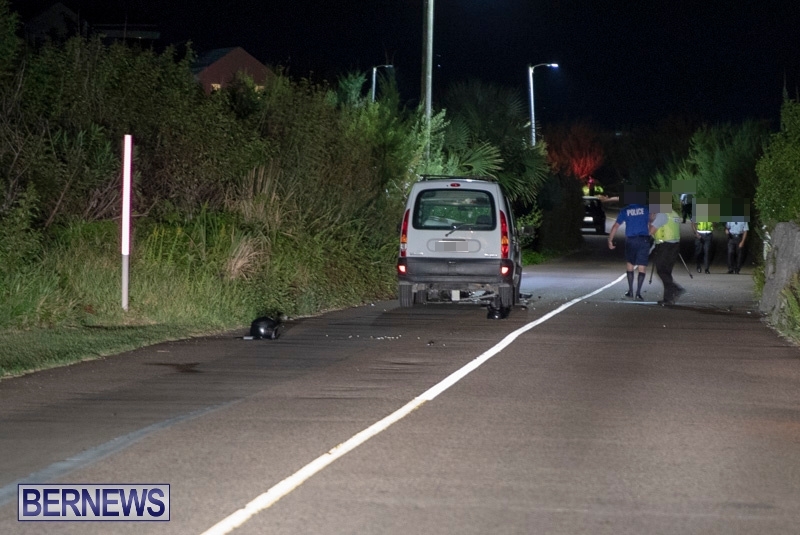 [Updated] Emergency services responded to a collision on North Shore Road in Shelly Bay tonight [Sept 9] that appeared to involve a motorcycle. North Shore Road is currently blocked in the area with traffic being diverted away and commuters having to travel on Harrington Sound Road. Further details are limited at this time, however we will update as able. Update 10.55pm: A police spokesperson said, “‎Around 9:10pm Sunday, September 9th police and fellow first responders were dispatched to a reported collision on North Shore Road in Hamilton parish near the junction with Commonland Point Road. “‎It appears that a motorcyclist traveling east collided with two cars being driven in the opposite direction as well as a wall. 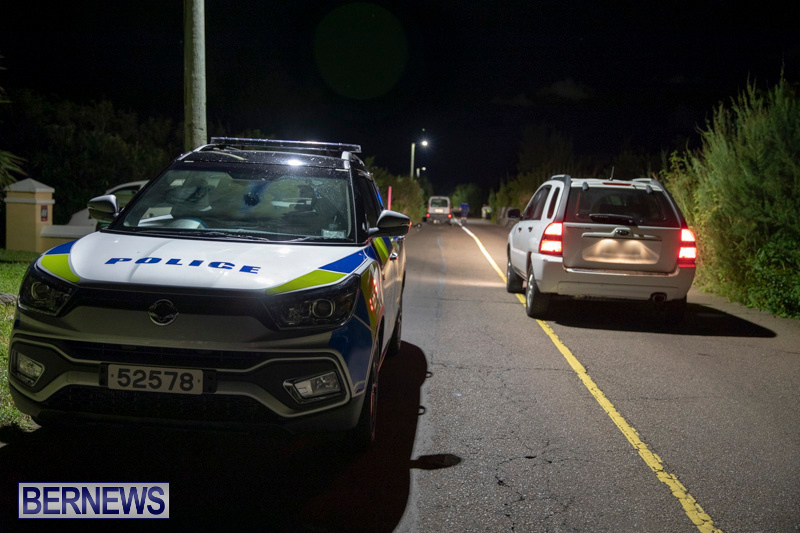 “The rider, said to be a 40-year-old man, is believed to have sustained serious injuries and was rushed to King Edward VII Memorial Hospital via ambulance. “An update on his medical condition is anticipated in due course. “‎Traffic diversions in the area will remain in effect until the relevant police personnel complete processing the scene. Update September 10, 11.52am: A police spokesperson said, “At last check this morning [September 10th] the 40-year-old male motorcyclist – believed to be from St. George’s – seriously injured in a collision with two cars on North Shore Road in Hamilton parish near the junction with Commonland Point Road around 9:10pm Sunday, September 9th was listed in stable condition in the hospital’s Intensive Care Unit. “There were no other injuries reported. “‎Traffic was diverted for approximately four hours while the scene was processed. Mixitup: He seemed competent enough to be the UBP leader.... oh right, surrogate nevermind. Bermewjan: It’s part of the PLP’s dinosaur exchange program. J Austen: I’d say it’s a stitch up job. Walton’s trusting good nature has always been his undoing.